Kobushi Hana Belgian White is a 5% witbier from Kobushi Hana, based in Saitama, Japan. It’s part of their seasonal lineup and can be found in both bottles and on tap from Autumn onwards. Kobushi Hana Belgian White is also Kobushi Hana’s winningest beer, having taken more than five awards across Asia. Like most witbiers, it is brewed using coriander and orange. 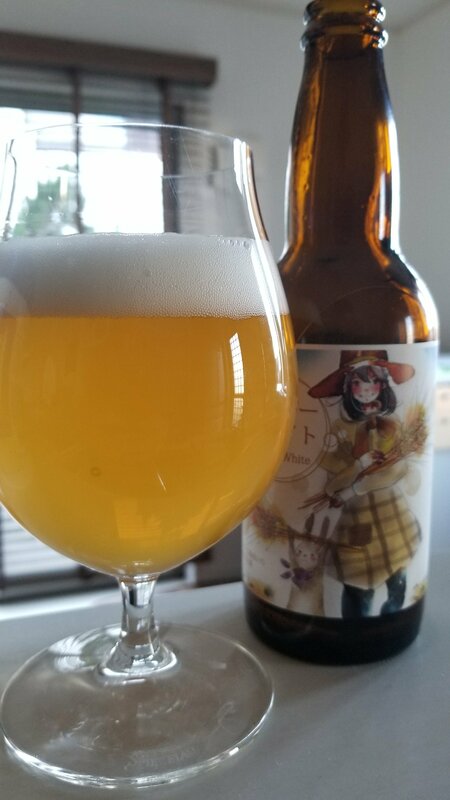 Unlike the rest of the Kobushi Hana range, Kobushi Hana Belgian White comes with a cutesy label on the front, which took me aback at first as I didn’t recognise who made this beer. Upon opening, it had a light golden straw colour and large frothy white head on top that lingered throughout drinking. There was pleasant aroma of light biscuit malts, orange, and a subtle coriander and yeast hint to it. The body to Kobushi Hana Belgian White was quite dry, with some of the biscuit malts coming through initially before a muted citrus orange and coriander floated through. It wasn’t the strongest of witbiers, but the flavours were distinct. Kobushi Hana Belgian White didn’t evolve past these flavours before leaving a slight yeasty twang in the aftertaste.